Joe Aurelio founded the original Aurelio’s in 1959 with a small, four table restaurant on Ridge Road in Homewood. By 1977, Aurelio’s had grown so popular that they opened the world's largest pizzeria near its original store in a former 12,000-square-foot industrial warehouse. 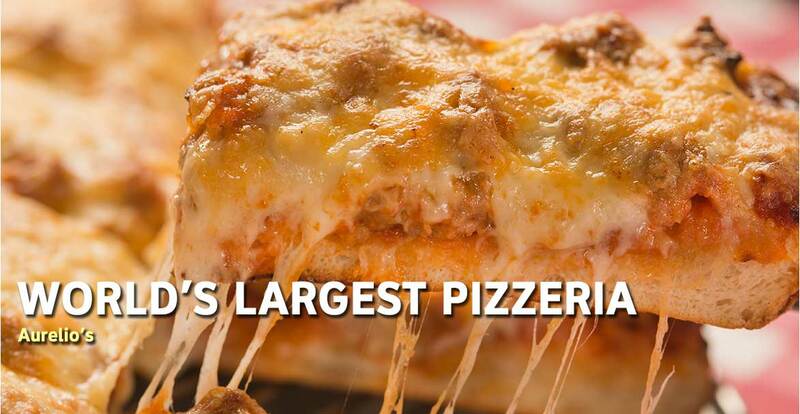 Featuring three levels of seating and a capacity of nearly 600, “The Original” Aurelio’s Pizza on Harwood Avenue is a must-stop for pizza lovers, and don’t forget to have your pizza cooked in the old oven – trust us!